Through a blog post on 8th October, Google announced of a few actions that they plan to take as a result of a few findings related to the security of user data, and they include shutting down Google+ for the public. Actually the exceptions happen to be the enterprise customers. According to Google, the consumer version of Google+ has been revealed to have “low usage and engagement.” In fact, 90 percent of user sessions are less than five seconds. I’m sure this isn’t surprising news for most of you, just like it wasn’t for me. But on the contrary, it says that there’s a wealth of enterprise customers who make great use of Google+ as a corporate social network within their companies. For them, the enterprise version of Google+ will be focused on more here after, with new features built for business launched in the future. In case if you have been an active user of G+, no reason to panic, you have a time of ten months (until next August) to transition. And Google also promises to continue updating you with additional information like how to download/migrate your data. However the main reason for all this appears to be some sort of bug in one of the Google+ People APIs, which Google says that they found out about earlier this year, and patched in March. Despite it being mentioned as second reason to “low usage and engagement.” However, Google declares that there’s no evidence that any profile data has been misused. 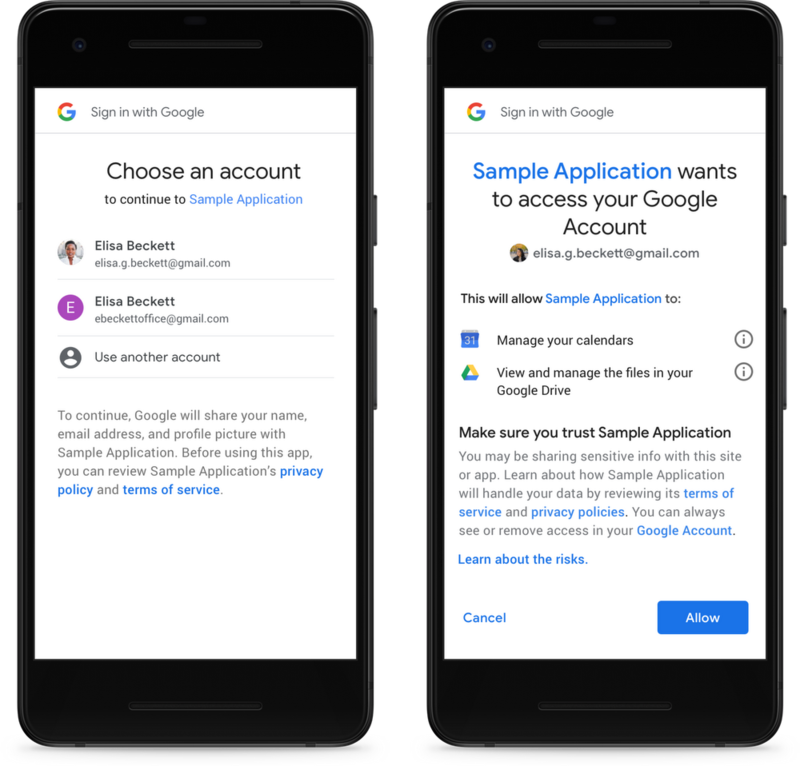 But Google plans to make it so that we will be requested permission for each type of account data (see the image below), each in a separate dialog box instead of all of it in one single screen. Also, not everyone out there would be able to access your Gmail. According to Google, “Only apps directly enhancing email functionality” would be able to do it. So would none of the third party apps would be able to receive Call Log and SMS permissions on your Android device, unless it is not “an app that you’ve selected as your default app for making calls or text messages.” And also voicemail and backups apps. Google Play will limit which apps are allowed to ask for these permissions. Any sort of security breach took place or not, it is obvious that all of this certainly is to make sure that nothing of that sort is not going to happen (again?) in the future.